We decided to take things easy today and not get too carried away. We took the rental sled back around noon and then met up with everyone at Antonios for lunch. 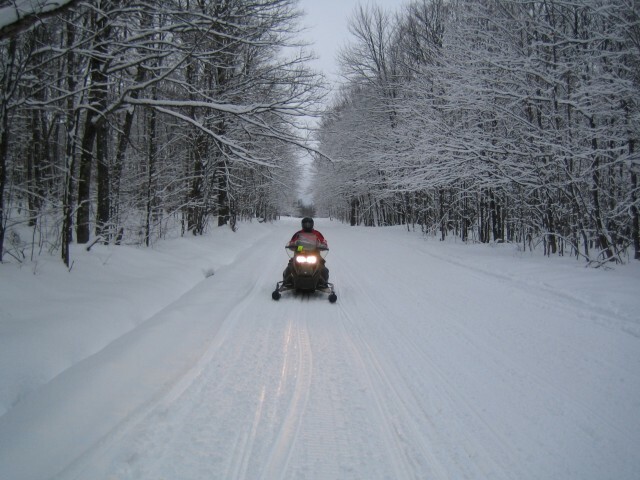 After getting back to the cabin my Dad and I decided to head north towards White Pine for a quick ride. We stopped at Konteka for a drink and then headed back to the cabin. 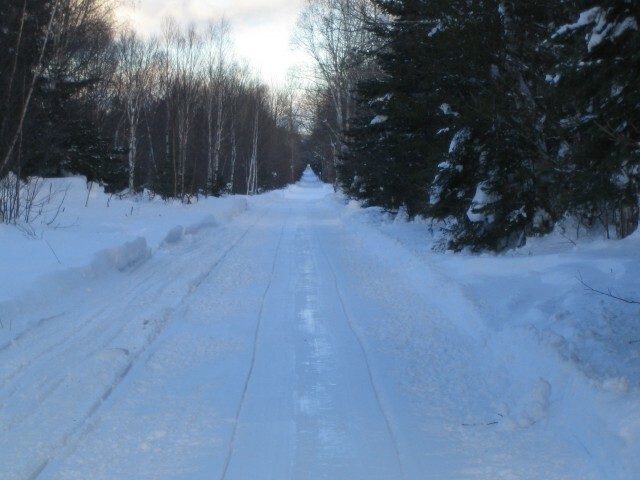 The lake is still in good shape with a few slushy spots here and there, and trail 1 north of Bergland is in awesome shape (other than the few spots the groomer can’t get to). The road is wide and flat and you can cruise up and down it. 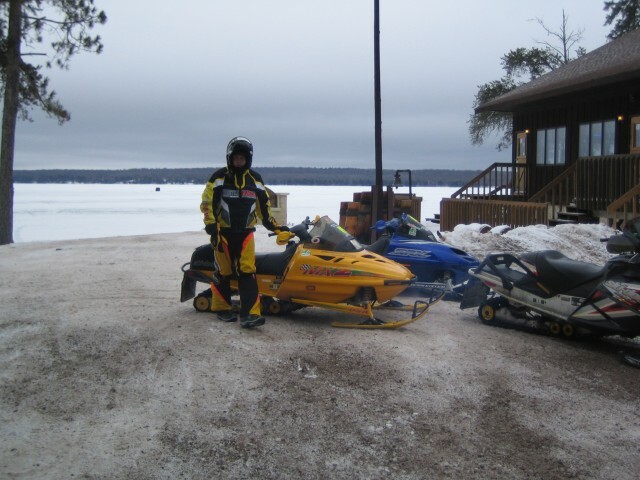 This morning we headed across the lake to Bergland to pick up a 2 up rental sled. Before this trip my wife had never ridden her own sled so we rented a 2 up just in case she didn’t like riding her own. Guess what, she rode her own and now she doesn’t want to ride on the back any more. Since we already paid for the rental we figured we might as well put some miles on it. We headed back to the cabin and went to the Root Cellar for lunch. Then we headed back across the lake to the cabin. 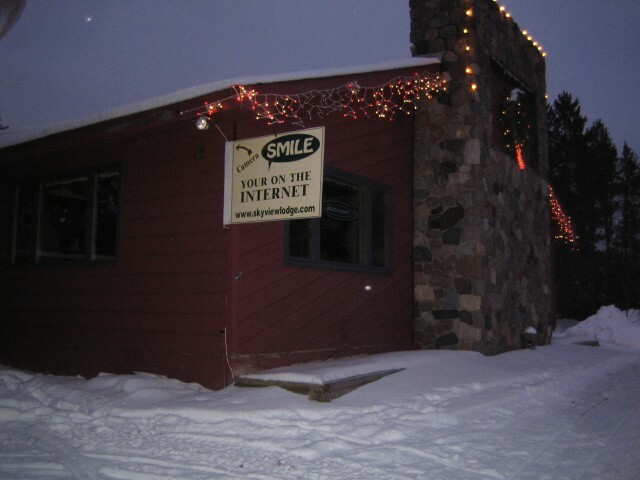 We all talked about where we should head next and we decided on Skyview Lodge in Presque Isle Wisconsin. Everyone got their gear on and we headed south. Trail 13 was in pretty good shape and made our way to trail 2. As I’m sure most of you know trail 2 can be a dream some days and a nightmere on others! Today it was in between. It was pretty rutted, but not as bad as I’ve seen it in the past. 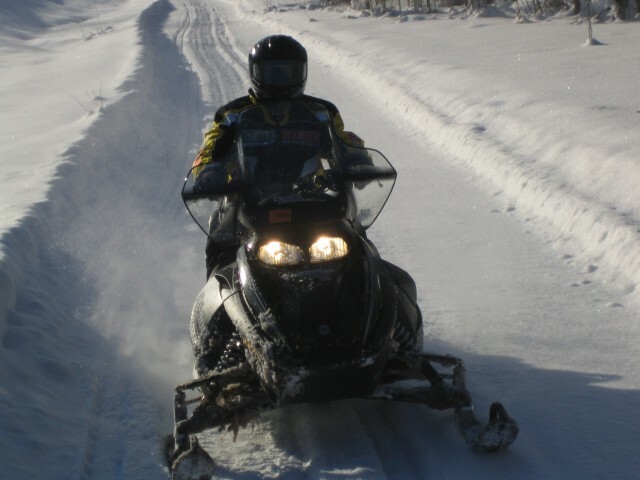 It made for a rough ride until we were able to pick up trail 1 into Presque Isle. We were lucky to pass the groomer on trail 1 and hit the awesome flat snow it left behind. After getting gas we were on our way for another great dinner at Skyview lodge. If you have kids in your group or people who don’t get to see wildlife very often, I would suggest visiting Skyview! 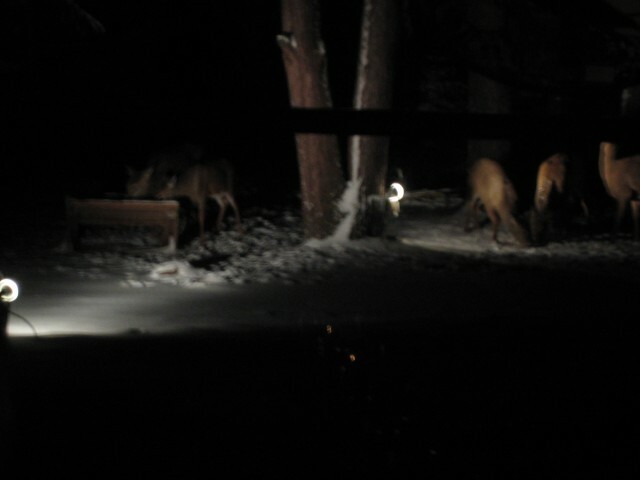 They have deer feeders right outside their dining area and it’s pretty neat to watch the deer come in and feed 10 or 20 at a time! After dinner we hit the trails again and headed north on trail 1. This time we decided to go up through Marinesco instead of the way we came the first time. The trails were great until we hooked up with trail 100. It was groomed and smooth, but we took a few “baths” along the way. There weren’t your typical mud holes along the way, these were full out swimming pools! 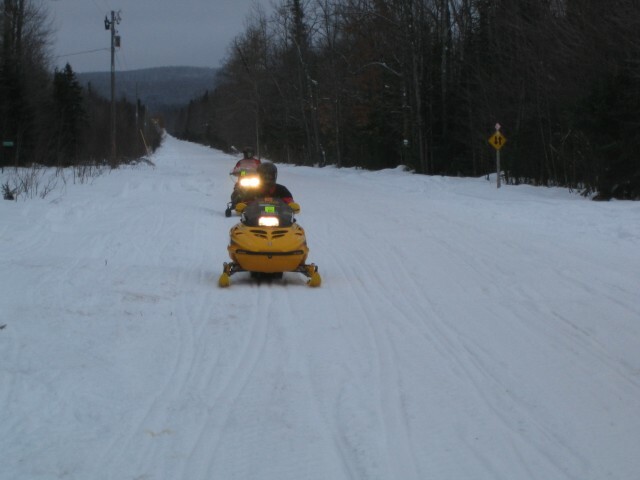 The sleds made it across just fine, except we all got wet and muddy while trying. I would suggest you stay off this trail until things get a little colder. 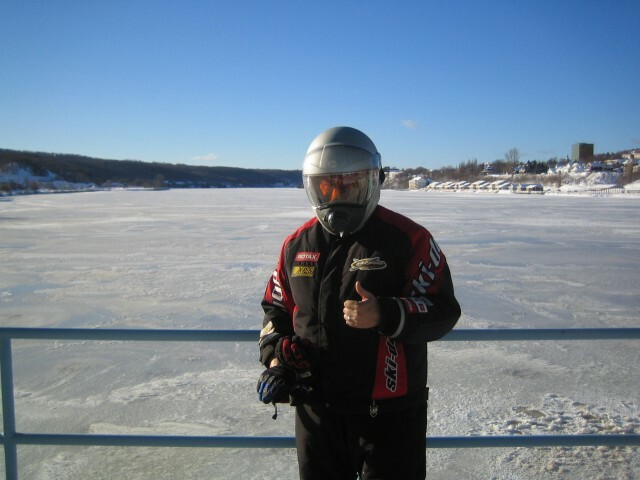 We looped around the bottom of lake Gogebic and then headed north on trail 13. It was still in good shape and made for an enjoyable end to our evening. We stopped in the Root Cellar to unwind and talk about our trip. We rode a bit further today. We got on the lake (which has fishermen all over and 10 plus inches of ice) and headed to the Hoop and Holler. We got off the lake there and took trail 8 west which was in great shape. Then we headed south on trail 1. This trail was in good shape as well other than the thin snow. We arrived at The Fisherman and had the famous Walleye breakfast. After breakfast we headed south on trail 1 to trail 100. Trail 100 was pretty bare due to the logging going on in this area. It was also full of wet spots. I don’t mean your typical 1 foot across creek. We are talking 5 to 10 foot across pools. Bring your swiming trunks for these ones! We then hopped on trail 13 and headed north again to the root cellar. We got back to the cabin and topped off our oil and headed north. We took the lake to town and got gas. Then headed west on trail 8 and then north on trail 1 through White Pine. As we went further north the snow got much better. White Pine had the best snow fall so far. Once we passed White Pine on trail 1 things started to get ugly. Silver City (otherwise known as Mud City) certainly lived up to it’s name. The closer we got to the lake, the more muddy it got! We ate dinner at The Foothills and then made our way to trail 11 south. The first part of trail 11 was beat fairly bad, but it was still rideable. About 1/2 way to trail 102 we passed the groomer going the other way! Then of course the trail was smooth as glass and great! When we headed south on trail 102 it was the same story. The first 1/2 was a little rough but then we passed another groomer and it was great. We made our way back to Bergland and gased up again. Then we rode the lake back to the cabin and called it a night. Fair snow conditions but improving! Well we headed north once again. This time we are staying at Pebble Beach on Lake Gogebic. The cabin is in a great location and is nice, but could use a few improvments. 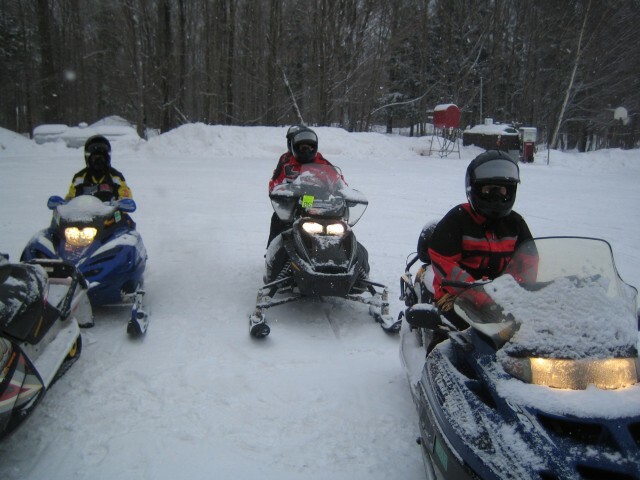 We started off the day by getting the sleds unloaded and then rode to the Root Cellar. We got some dinner and then decided to ride to town to gas up. 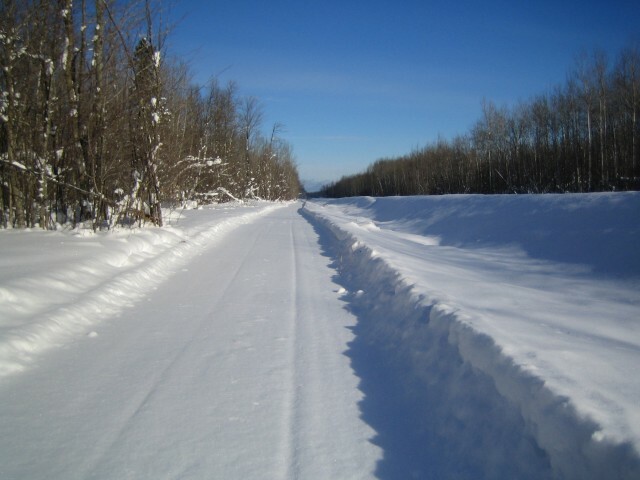 Trail 13 was in fair to poor condition, mainly due to thin snow. The further north we got the better the snow conditions were. We hit trail 8 into Bergland and things really started to improve. 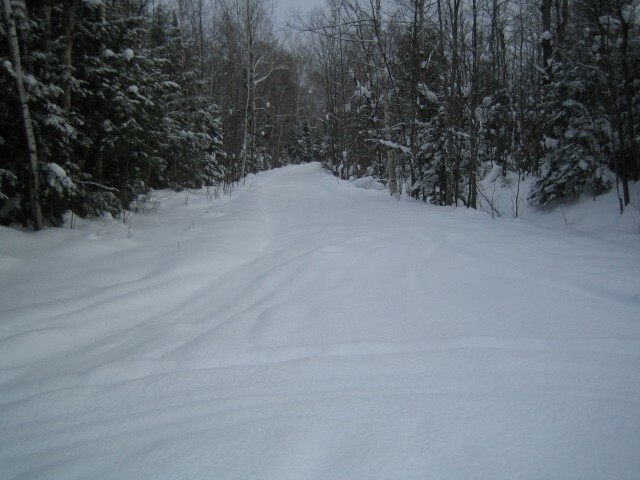 The groomer just came through and we were the first sleds to ride on the freshly groomed trail. We got gas and then headed back to the cabin. 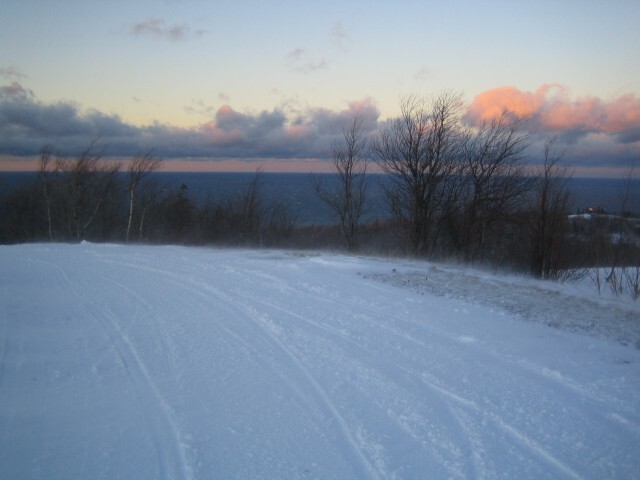 Posted in Trail Reports | Comments Off on Fair snow conditions but improving! Another Day of Great Trails! We got a late start today because we slept in after our long ride yesterday. We left Porcupine Lodge around noon and headed for Wakefield. We rode down trail 1 which was in awesome shape, to trail 8. Trail 8 was also in great shape. We arrived just outside Wakefield at Bingos. We fueled up and ate some pizza. Eugene waited on us and as usual is always full of stories. Be sure to stop in and say hello if you get a chance! We left Bingos and headed east on trail 8 until we hit trail 2. We rode 2 until we hit trail 11. 11 had to be the worst trail we saw in the last 3 days. The main reason being they haven’t cleared much of this trail. There are a lot of wet spots which is probably why it hasn’t been cleared. There were logs and branches all over the place. They also have most of it plowed due to logging. If you decide to ride this trail, use EXTREEME CAUTION! We then decided to go to the P.I. Pub instead. We had an excellent pizza and then headed for Bergland. The first 10 miles of trail 1 out of Presque Isle are pretty wooded and therefore a little on the rough side. We got lucky once again and once we hit the trail 2 junction things really smoothed out. We rode trail 1 all the way to trail 8. When we got on 8 my brother noticed that his sled was making a noise. We pulled the clutch guard off and noticed a chunk out of the belt. After changing the belt, the gas stations in town were closed so we stopped by the Hoop and Hollar to get some gas. Then we headed for White Pine. Trail 1 just got better and better. I felt like we were riding on a freeway! It was wide and flat! Posted in Trail Reports | Comments Off on Another Day of Great Trails! We took a little longer ride today, Copper Harbor! Our day got off to a slow start because the gas station in White Pine was out of premium gas. We ended up having to ride to Silver City to get gas. After back tracking a little we were on our way. The first stop was Ontonagon. The first 5-10 miles of trail 12 have a LOT of slushy and open water spots, so be careful! After we got past this area the trail was in great shape. 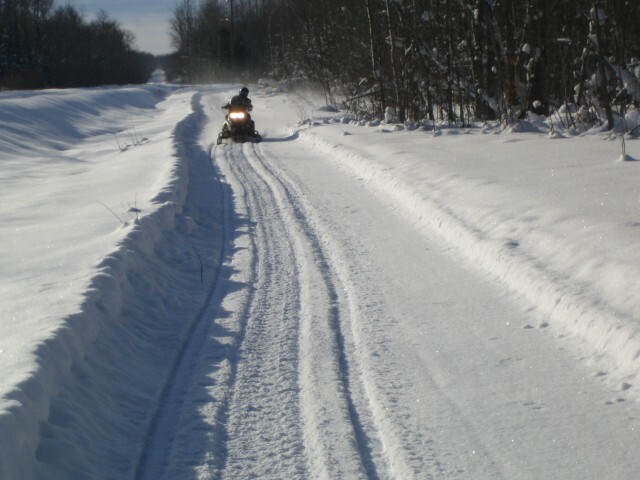 They groomed this trail last night and we were the first sleds on it. After getting gas and eating lunch at Harbor City Cafe we were on our way to Twin Lakes. We took trail 12 to trail 3 and both were in excellent shape! They looked freshly groomed from this morning. We stopped in Twin Lakes to gas up and then headed for Houghton. The hilly areas west of Houghton were a little rough, mainly due to traffic. We crossed the bridge in Houghton and gassed up again. Trail 3 east of Houghton was in great shape as well. Once we got closer to Copper Harbor in the hilly section of trail 3 it got a little rough again, but wasn’t too bad. On the way back pretty much everything was the same as on the way over other than the groomers had been out again and did a sweet job getting the trails super smooth! I took one last picture on our way back home through Houghton. This picture is dedicated to those of you who can’t seem to keep off the ice when everyone and their brother tells you to! It’s not safe, and do not ride on the ice! 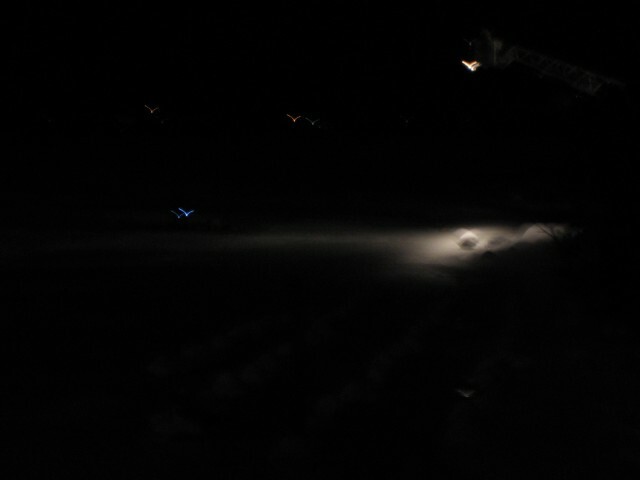 This is a picture of fire fighters in the water with the ladder truck over head. I can’t be certain that someone had fallen through, or if they were doing training. Earlier in the day we saw tracks across this same area even though there was open water. 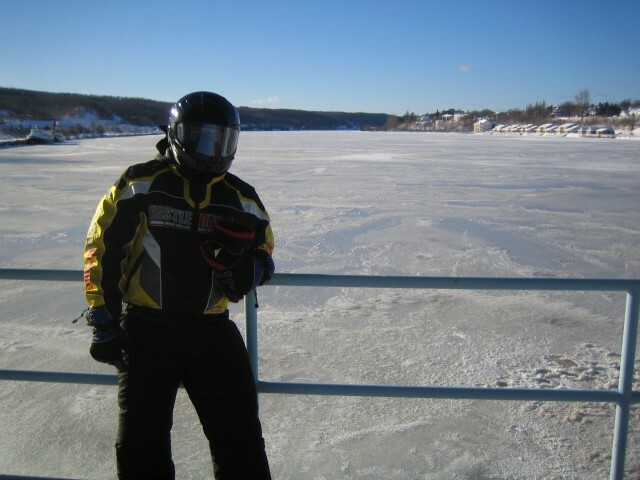 I’ll say it one more time for those of you who have thick heads……….THE ICE IS NOT SAFE YET, STAY OFF OF IT! Thats all for now, I think we are going to head west tomorrow! 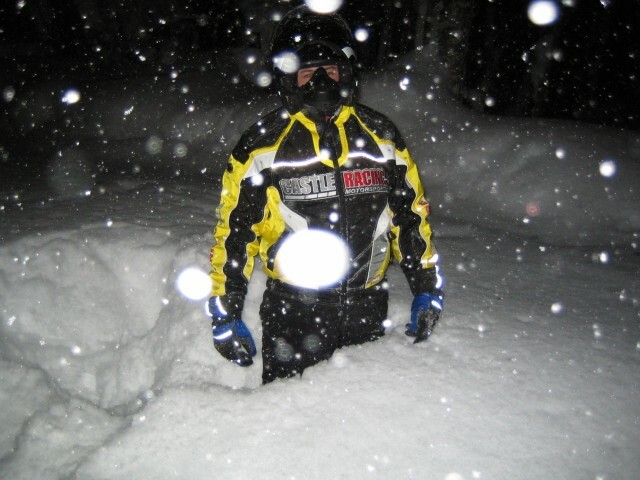 Yesterday was my first ride of the season, and it was a “deep” one! We arrived in White Pine, MI at Porcupine Lodge around 3pm and got everything situated. We hit the trails around 5pm and man, what a ride! 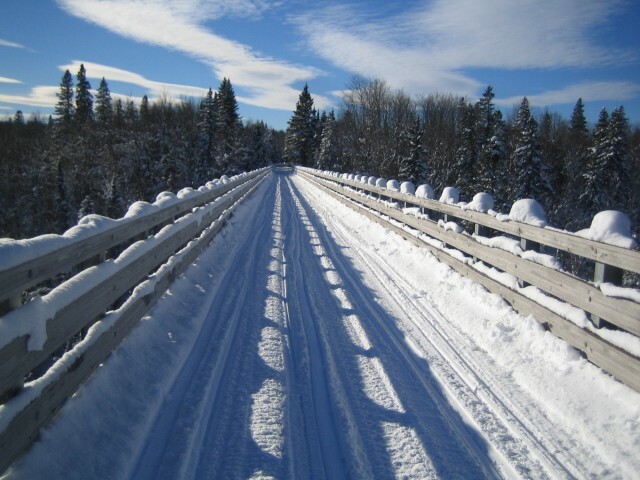 We rode trail 1 to Bergland which was full of fresh powder and in pretty excellent shape. 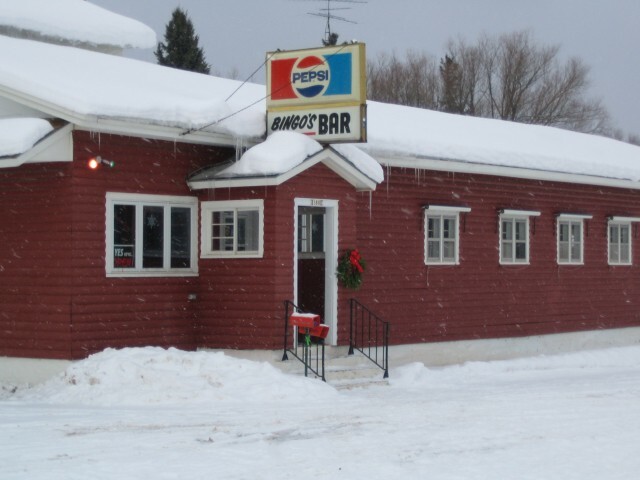 Once we got to Bergland we had dinner at Antonio’s Restaurant. The food was good and so was the service! After our quick pit stop we hit the trail again and headed west on trail 8. This is when things got really good! We lucked out and the groomer had just groomed this trail. 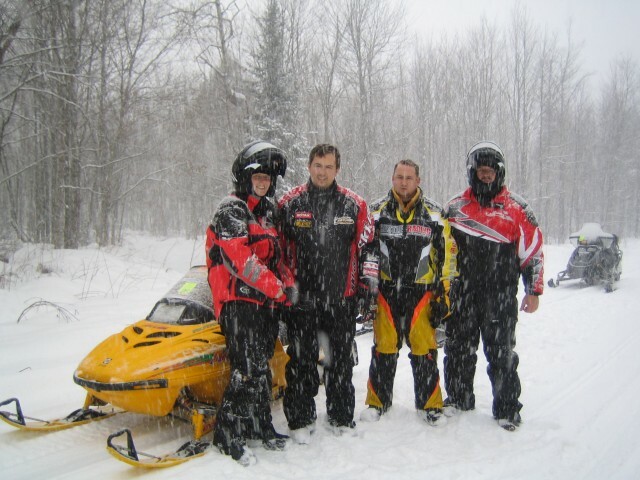 We were the first sleds on it! 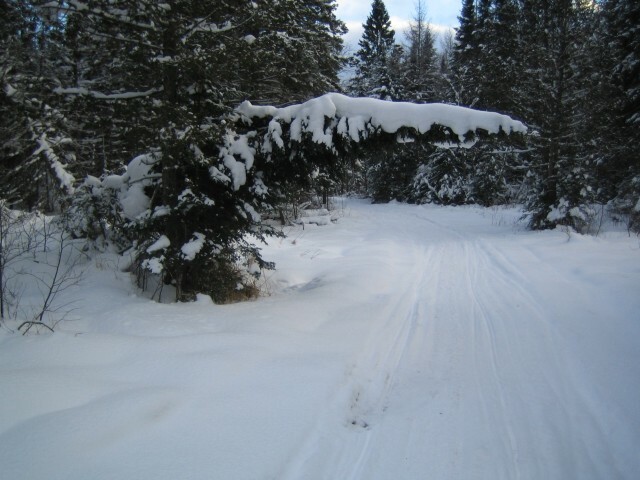 We ran trail 8 to trail 102 and guess what……yep, the groomer groomed that as well! About half way between trail 8 and trail 11 (on 102) we caught up to the groomer and passed them. 102 was still in pretty good shape even though it took a little abuse from the weekend warriors, but I’m sure the groomer took care of that. When we finally reached trail 11 is when the real fun began! There was at least 24-36 inches of fresh powder on the trail! Granted, I always thought of this as a dream, but at night it can be a major challenge! 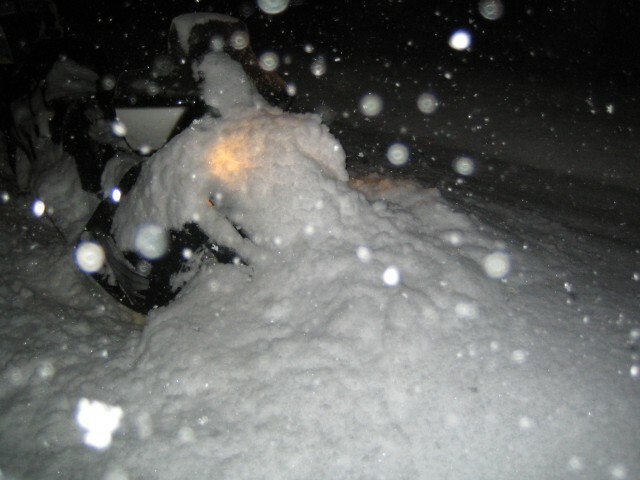 The powder kept piling up in front of the sled and blocking our headlights it was so deep! 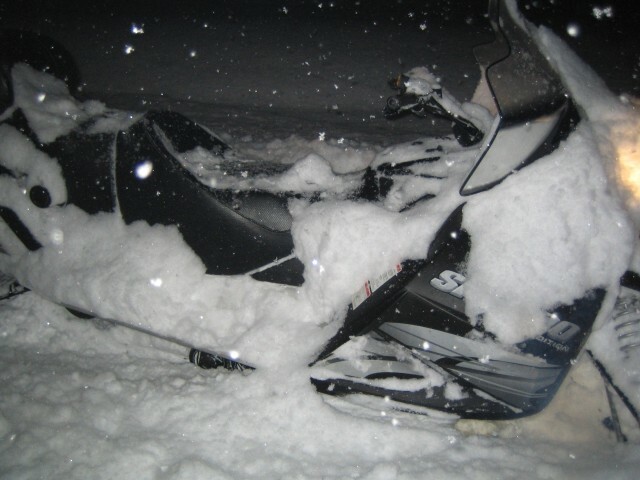 We eventually ended up very close together with the front sleds light “blacked out” and the rear sled with its brights on. The next 18 miles were amazing! 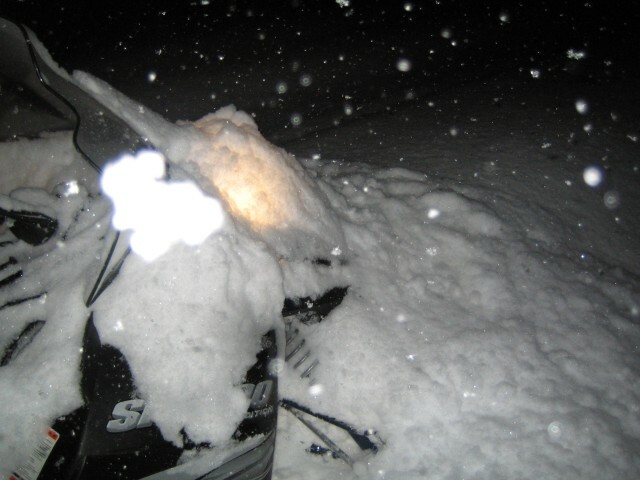 We got off the trail once and had the sled burried above the windshield! We finally made it out of the park and on to a more “tame” trail. If you get a chance to visit the U.P. 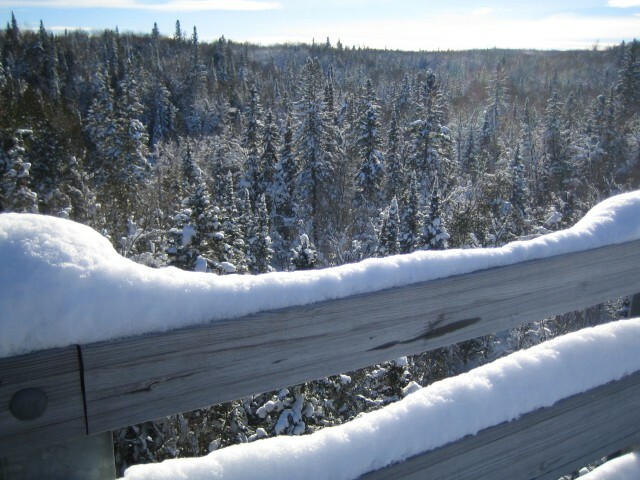 be sure to check out the White Pine area, it is amazing! Off to Copper Harbor tomorrow! 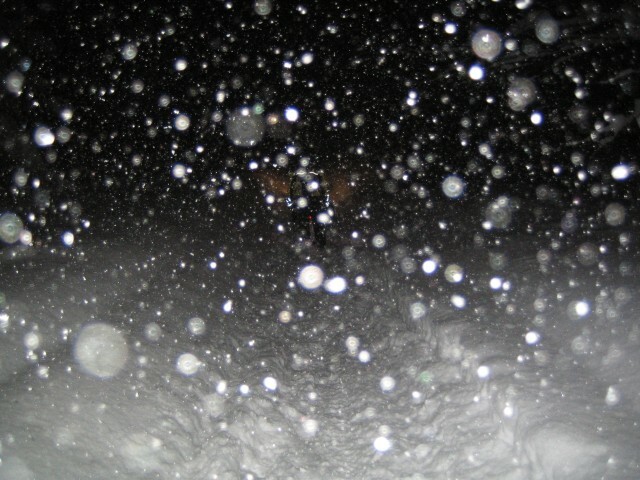 Posted in Trail Reports | Comments Off on Powder, lots of it! 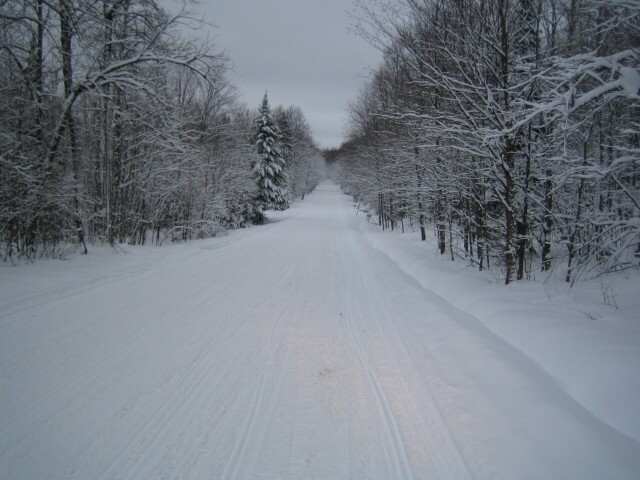 You are currently browsing the Snowmobile Trail Conditions blog archives for December, 2005.